Whenever there is a large fall in oil prices, the largest energy extraction firms start sniffing around the smaller ones. The reason for this is that the share prices of the smallest energy companies tend to fall by more than the larger companies, even though there is no loss of expertise, or reserves of oil and gas. In the last year, the shares of BG Group (a product of British Gas, which was privatised by Margaret Thatcher on the 80s and split into BG and Centrica in 1997) fell by 30%, making them a tasty morsel, resulting in a mooted bid by Exxon Mobil in December. Then, on Wednesday, Royal Dutch Shell announced that BG Group had agreed a price of £47.1bn for a merger. The benefits for holders of BG group shares seem obvious, given they are getting a price at a 50% premium to the value of their current holdings and have the choice to receive the proceeds in cash or Shell shares. 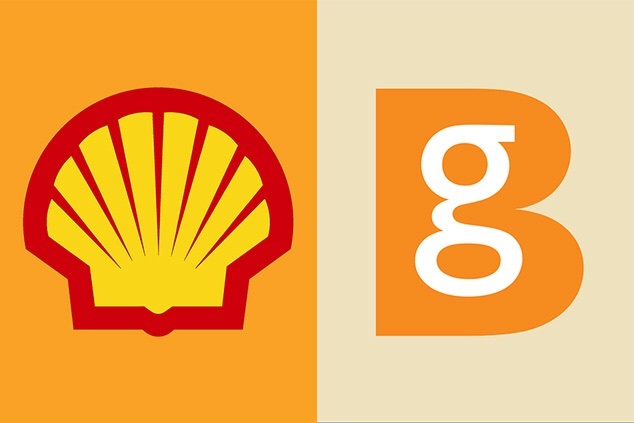 They are also receiving dividends at Shell levels, rather than the much lower BG Group levels , analysts have welcomed the deal for BG shareholders, but are less sure about the benefits for Shell. Looked at using economics, the benefits are obvious. First of all, Shell acquires the rights to 25% for proven reserves of oil and gas. This seems a better idea for Shell than continuing their difficulties in finding reserves in the Alaskan oil fields they own. Basic Economic theory suggests that with the oil price at such a low ebb the return on investment would not be high enough to justify a long term commitment to finding new supplies off their own back. They can immediately add the proceeds of 20% more production plus access to areas they are not already in, such as Brazil, Australia and East Africa. This explains why Shell says that the deal will add about £2.5 billion to earnings in the first year of the combination. Then there is Liquified natural gas (LNG). LNG is relatively plentiful as well as clean burning compared to oil. It is where natural gas is converted to liquid form using super-cooling systems in which BG Group has expertise. The reason it needs to be liquified is that whilst natural gas can be sent down a pipeline, there are situations, such as crossing oceans, where pipelines are impractical, so gas needs to be liquified and transported by ship. Shell-BG have now in combination got 16% of the proven LNG reserves, this makes them the largest producer of LNG in the world. There is a tactical reason for Shell to have made this move, the three biggest companies in the world are BPAmoco, ChevronTexaco and ExxonMobil. They are so big that the combination of Shell and BG Group are no bigger than any of them. If Shell hadn’t moved to buy BG Group, one of the others may have, or probably would have, and such are the advantages of economies of scale in this business that Shell would have had trouble competing. As usual with these types of mergers, Shell and BG Group will find ‘synergies’, which in layperson as peak is where they can cut cost by combining similar operations such as admin or rationalising places where they are both drilling near each other, this could cost jobs, which the unions are already warning against. Both companies have claimed that without the merger they were going to have to make job cuts anyway, so it may actually save jobs in the long term. Ultimately, this merger, the largest in the industry for five years, has made waves because of its’ size and the amount of money involved. But it won’t make waves in terms of economic rationale. The economically rational thing to do. This post explains the acquisition well.